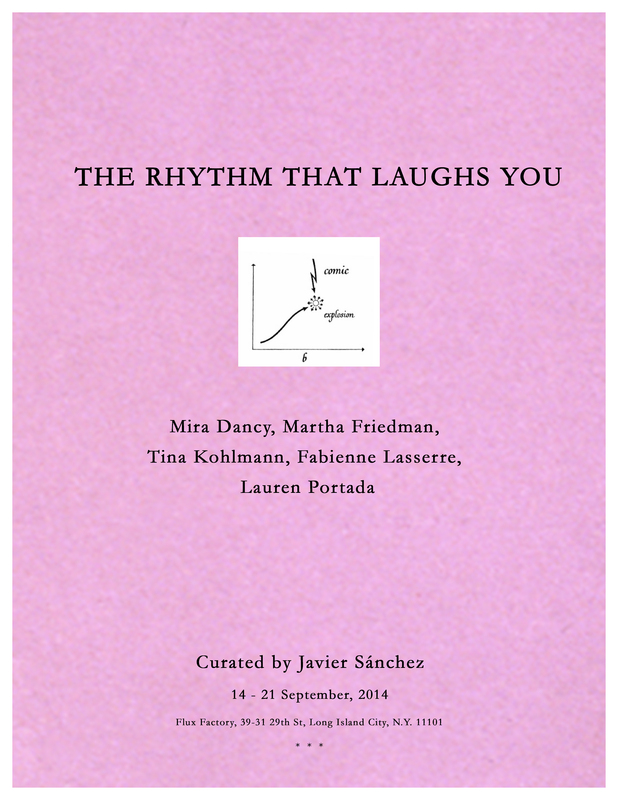 “The Rhythm That Laughs You” explores diverse approaches to humor and the comic in works by female artists who foreground bodily experience through object-based practices. The exhibition borrows its title from a statement of Hélène Cixous in her seminal “The Laugh of Medusa” (1975). Cixous describes the peculiar materiality of laughter and the subject position, conceiving the experience of laughter in the form of a rhythm that traverses us. Rather than deciding to laugh, we abandon ourselves to it, and by participating in the emotion of the one who laughs, lose ourselves in another. Laughter is both a dislocation and a communion of bodies. But laughter, in its excess, also threatens meaning. Whether a slapstick or a joke’s punchline, the unexpectedness of humor always forces us to shift our assumptions and expectations. Humor resists, transgresses, or subverts the order of things. From Agnes Heller to Simon Critchley, contemporary theories of humor point out to the ultimate heterogeneity of comedy. Although analysis of the comedy breakdown into three main theories—superiority, incongruity, and relief—however, the question has moved from the essence to the form of laughter. As distinct from the comedy as a form of drama, the idea of the comic gathers together things that are laughable or humorous. Entirely heterogeneous, there is nothing beyond a family resemblance among the different manifestations of the comic. Even more, how can we know the laughter from the comic? Laughter is nothing but a vibration or a tremor, as Jean-Luc Nancy writes. The experience of laughter is always dangerous and violent. Convulsive, contagious laughter throws everything off balance: it is a form of dissolution not without joy and pleasure. “The Rhythm That Laughs You” comprises five different comic visions and genres of laughter: light, camp, surreal, grotesque, and carnivalesque.